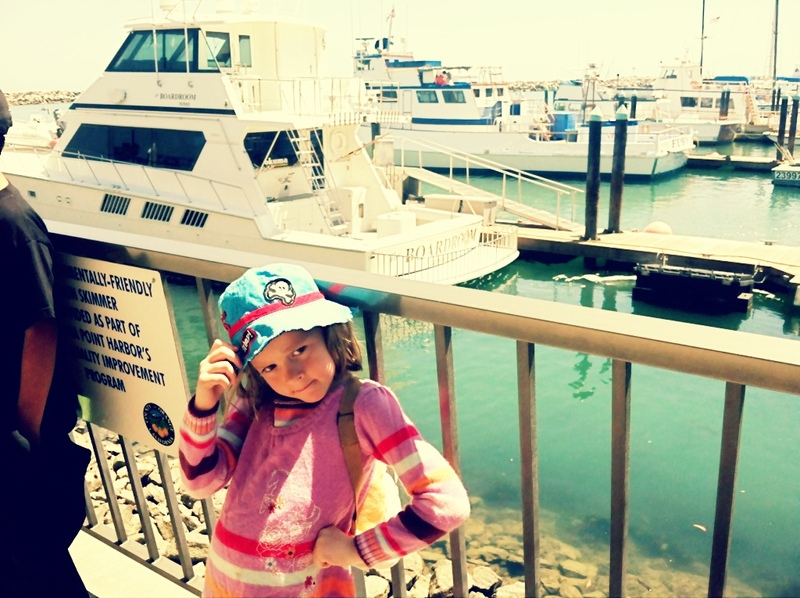 We Spotted a Gray Whale at Dana Wharf! CC gets ready to board the Dana Pride at Dana Wharf. When it comes to whale watching, some days it's more like water watching. That's what our captain said last weekend, when the whole family and I headed out to sea to go whale watching at Dana Wharf Sportfishing and Whale Watching. It was a beautifully warm day, as sunshine spread out over the ocean, prompting a group of sea lions to lounge on a jetty of rocks. And while the chances of seeing an actual whale aren't ever 100% -- which is fine, because the trip alone is so relaxing and beautiful -- I was not-so-secretly hoping to catch a glimpse of one of those elusive creatures. Double that for CC. And lucky for us, a baby gray whale and its mom decided to give us a show. A gray whale spraying water through its blowhole. I'm not sure which one it was, but either the mom or baby seemed fearless when it came to surfacing (but not full-on breaching) from the water. The whale sprayed water several times through its blowhole and glided just beneath the surface. It was amazing, and what struck me was how tightly the whales hugged the coastline. We weren't in the middle of the ocean (as you can see from the pic above). It was truly a thrilling moment. What was doubly amazing for me was how CC totally schooled me on ocean-life facts. 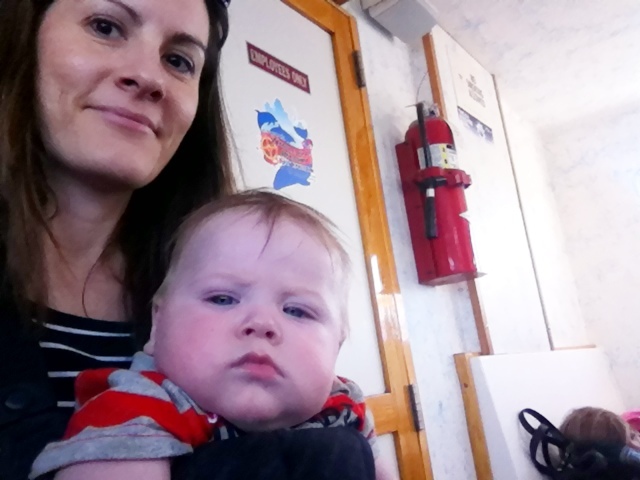 At one point, when we were in the galley below, she asked me who would win in a contest between a whale and dolphin. I went with the obvious "a whale, because it's bigger," while CC opted for the dolphin. "Because it's more intelligent," she said. A very sleepy Baby Will and me. I'm hoping we do this every year -- whale or no whale. A co-worker of mine received this amazing package in the mail, which had an item I was eager for CC to try -- the FireFly Ready Go Brush. The toothbrush, which is approved by the American Dental Association, lights up to let kids know when they can stop brushing. 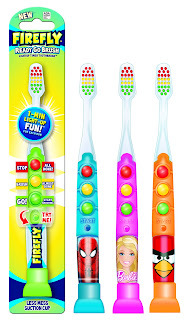 The one-minute light show starts off green, then moves to yellow, and finally hits red, letting kids know when tooth-brushing is over. I also like that the toothbrush has a suction base, so it stays upright (and clean). While CC has the Angry Birds design, there is also Barbie and Spider-Man. What's even better? CC gets excited to brush. And isn't that what we really want, anyway? Today we celebrated Take Your Daughters and Sons to Work Day at mom.me by inviting all of our colleagues with kiddos to bring them in for crafts, snacks and fun. Of course I brought CC in for the excitement, and besides missing a morning of school, she got to see where I worked and had the chance to make cards, build Legos and mingle with other boys and girls whose parents also work outside of the home. I have to (virtually) high-five my co-workers, who organized craft tables and video production for the event. It really showed just how much we enjoy what we do -- something that's amazing for the kids to see. I know she had an amazing time -- just watching her with the other kids was so fun. At one point, she was "hanging out" with two 1st grade girls, and I overheard her tell them, "I liked preschool so much better than kinder. You got to do whatever you wanted." Flash-forward 10 years, and I imagined her gossiping with friends about school, boys and how junior high was so much easier than high school. CC shows off her super-white bedroom. It was all about the periwinkle and glitter, as we dove into painting and redecorating CC's bedroom with Disney Paint. As you can tell from the above "before" pic (complete with random living room throw pillow on the bed), CC's room is blindingly white. Even the furniture! So it was nice to see what a little color could do. You might remember my earlier post, when CC surprised me with her choice of paint color -- periwinkle ruled over the usually dominant pink. Without giving too much away -- I'm saving the big reveal for my upcoming third and final post -- it looks great! I'm so glad she went with the light and subtle shade of purple. What's great about the Disney Paint selections, I found, was that it doesn't just stop at the color. We're adding an "All That Glitters" specialty finish to give the room an extra pop. Having never painted a room before (shh! ), I was a bit overwhelmed at first, thinking you had to be a pro to even get started. Luckily, it turned out to be a really doable (and in some ways relaxing) task. In addition to the paint and finish, I also purchased a paint kit from Walmart that included a brush, a roller and a paint pan (less than $6), as well as another smaller roller brush (about $5) and blue painter's tape (about $4). After watching the helpful how-to video (above), I was on my way. 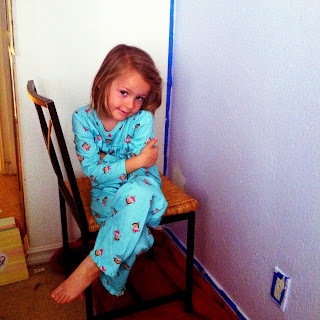 Instead of painting CC's entire room, I decided to paint just the wall behind her bed as a focal point. I placed the painter's tape along the edges above the molding and around the ceiling, outlets and other walls, and got started. The painting itself was way easier than I'd expected. The Disney Paint went on smoothly with one coat, and there was very little "paint smell" to boot. You might have done a double take above when I mentioned that it was relaxing. But I really got into a groove, and the whole wall took only about an hour to paint. Keep in mind, that's just the paint. The finish comes after that, but was also easy to apply. We're planning on having a "big reveal" party for a few friends, and CC can't wait. After all, she doesn't want to keep all that glitter to herself! Disclaimer: Compensation and products for review were provided by Glidden via MomTrends.The opinions expressed herein are those of the author and are not indicative of the opinions of Glidden. The British are definitely coming! And it looks like a lot of fun. 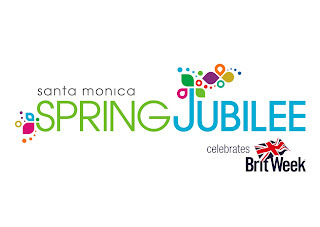 Downtown Santa Monica, Santa Monica Place and BritWeek are joining forces for the inaugural Santa Monica Spring Jubilee Celebrates Brit Week, a two-day spring festival next weekend, May 4 and 5. The free, family-friendly event will host everything from live performances by the kid-friendly Twinkle Time, wax figures of British celebs from Madame Tussauds, a doggie red carpet and adoptions from Walker's Shortbread and even a special baby card signing for Prince William and Kate (aka the Duke and Duchess of Cambridge). The event will take place over three blocks of the Santa Monica Promenade, from Wilshire to Broadway, with the main stage located at Santa Monica Place. As Prince William would say, it sounds like a good giggle! Happy Earth Day! In celebration of the eco-friendly holiday, I wanted to spotlight a company that offers Earth-safe and stylish products for kids and moms. In addition to laundry detergent, shampoo and body wash (and much more! 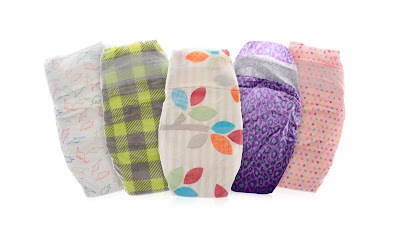 ), The Honest Company -- co-founded by actress/mom Jessica Alba -- created these adorable and plant-based, sustainably harvested diapers ($13.95 per pack) that are also gentle on baby's skin. Alba was inspired to help found The Honest Company after she discovered her "daughter Honor sitting in her crib, eating these tiny beads from the inside of her diaper," she told Self magazine last year. "They were all over her face. It was a moment of terror." These diapers, however, don't have those unhealthy beads, instead using nontoxic, bio-based wheat/corn for its core. And they're seriously cute, too! Check out all of the designs here (click the "patterns" tab). See how you can try some for free. 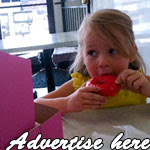 For more Earth-friendly products (this time for kids), check out my story on mom.me. Earth Day arrives tomorrow, and what better way to celebrate than getting outdoors and enjoying some spring sunshine! 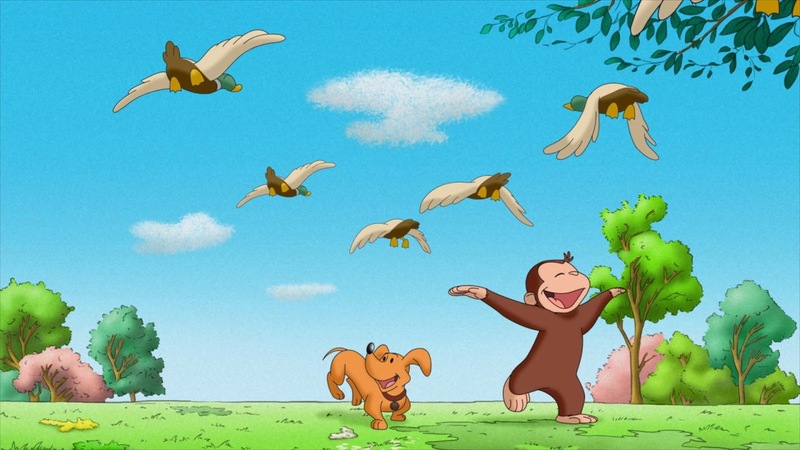 To get kiddos in the spring spirit, PBS Kids will be airing a special Curious George movie, Curious George Swings into Spring, on Monday, April 22 (check local listings). Not only that, but the network will also be showing a special eco-friendly-themed Daniel Tiger's Neighborhood, which will show kids how to clean up and recycle. CC and I caught a screener of Curious George, and CC enjoyed checking out the story of the little monkey who loves (well, everything, but especially) being outside and taking a trip to the country. When the apartment building is flooded and the doorman is busy trying to win the Spring Building Prize, the Man in the Yellow Hat offers to bring Hundley, the little dachshund, along for the ride. Despite George's best efforts (pigs, anyone? a trip in a canoe? ), Hundley seems to be a city dog at heart, preferring the concrete jungle to the leafy one. But when Hundley gets lost and George accidentally gets caught in a hot air balloon, the two animal friends might enjoy the great outdoors together after all. 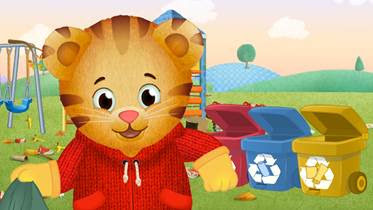 Taking on another important Earth Day theme, little Daniel Tiger is all about cleaning up his neighborhood. On the special episode, also airing tomorrow, April 22 (check local listings), a wind storm blows through town, sending trash flying all over the playground. King Friday declares the day "Clean Up Day," and everyone pitches in to throw away trash and recycle those reusable items. That's such a great lesson for kids, to know that some things are completely reusable. Also, cleaning up can be a helpful (and fun) team effort when everyone gets involved. * Proclaim Your Own "Clean Up Day" Tidy up your yard, and clean out the winter clutter. While you’re at it, find out what kind of trees, plants and wildlife are “at home” in your backyard and neighborhood, too! * Plant a garden! Pick out the kinds of vegetables you’d like to grow or design a flower bed together – kids love to get their hands dirty! If you live in an apartment, you can create a beautiful flower or herb garden right on your terrace or windowsill. together and visit a local park to help make sure that it’s trash free and ready for playtime! * Recycle together! Invite your children to get in on the act of recycling! Have them assist you in tying up those newspapers and magazines, collecting the cans and bottles, crunching the cardboard boxes – and making sure that everything goes in its proper bin. So last week, I went to this fun (and super-crowded) party at MAC Cosmetics on Robertson to preview their latest beauty line, Baking Beauties, inspired by one of my favorite things -- cake! The spring line features fun spring colors like pinks and blues and greens, shades that usher in and celebrate warmer weather and send the winter chills packing. 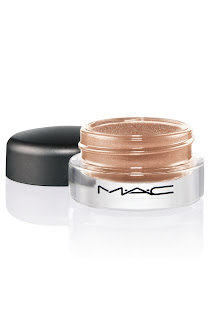 Besides enjoying the raucous atmosphere -- it was insanely crowded with lots of costumed fans arriving in Technicolor blue contacts and matching eyeliner, as well as gobs of green hair piled up like cotton candy -- I also discovered a product that's perfect for moms -- MAC's Pro Longwear Paint Pots (SRP: $18.50). 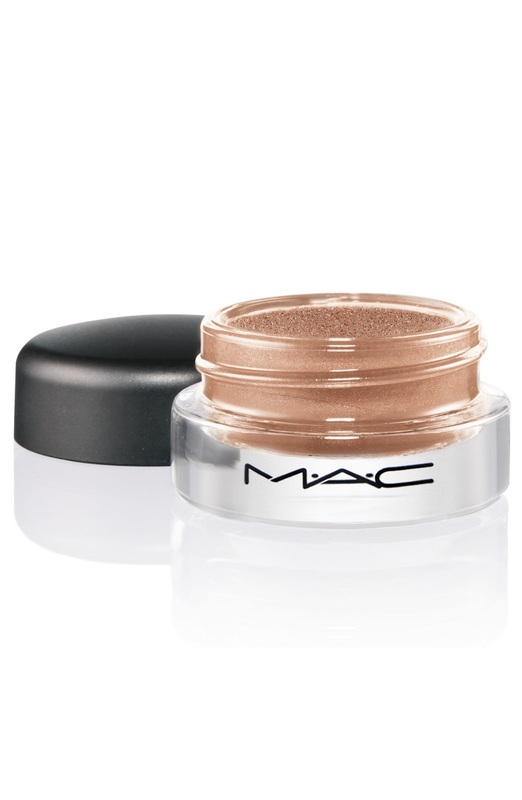 The eyeshadow, which I sampled in chocolaty-gold Eclair, goes on as a cream but dries almost instantly to stay on your lids all day without caking or fading. I tried it out, and it does last! Perfect for moms who can't touch up their makeup every five minutes -- which, I think, is all of us. It's that time of year again! The Los Angeles Times Festival of Books will be the main attraction for our family this weekend. Taking over the USC campus April 20-21, the free festival promises lots of fun attractions for parents and kiddos alike. As you might know from our previous outings, we love the Target Children's Stage, which features music and readings from family-friendly authors and performers. On the kids' front, the festival will have performances from Lisa Loeb on Saturday and the Imagination Movers and Choo-Choo Soul with Genevieve on Sunday (plus many more)! Not only that, but Lucy Dahl (daughter of Roald) will be talking about her father's book Matilda. With all the attention surrounding the Duchess formerly known as Kate Middleton and her growing baby bump, it's even more special that the Hilton Anaheim is once again hosting its British-themed "Queen for a Day" Mother's Day brunch. At the champagne brunch on Sunday, May 12, moms will be able to indulge in a complimentary horse-drawn carriage ride after they've been escorted down a red carpet by palace guards. The main attraction -- besides the "mums," of course -- will be a custom-made throne for all the ladies to practice their most royal pose, complete with a scepter and crown. The menu, from the hotel's Mix Restaurant, will feature stately items such as honey-baked ham, alongside the queen's favorites, such as quiche and scones. There's even a kid's menu! Drawings will also be held for prizes such as complimentary stays at La Quinta Resort & Club in Palm Springs and the Arizona Biltmore. Want to surprise your wife or "mum"? The Hilton Anaheim just kicked off a Facebook contest "Queen for a Day," where anyone can nominate their wife or mother and explain (in 1,000 characters or fewer) why she deserves to be treated like a queen. 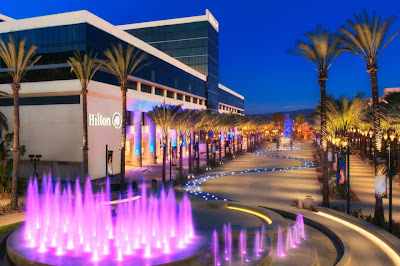 First prize is a weekend getaway for Mother's Day at the Hilton Anaheim that includes a spa treatment for her as well as brunch for her immediate family. The winner will be selected by Hilton Anaheim on May 3. All entrants will receive a coupon for Mix Restaurant. 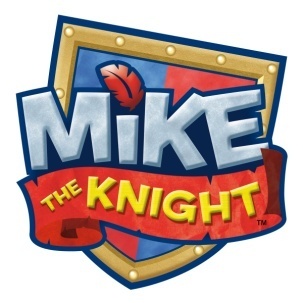 UPDATE: Congrats to Carol W, who won the Family 4-Pack of tickets to see Mike the Knight at the Renaissance Pleasure Faire! 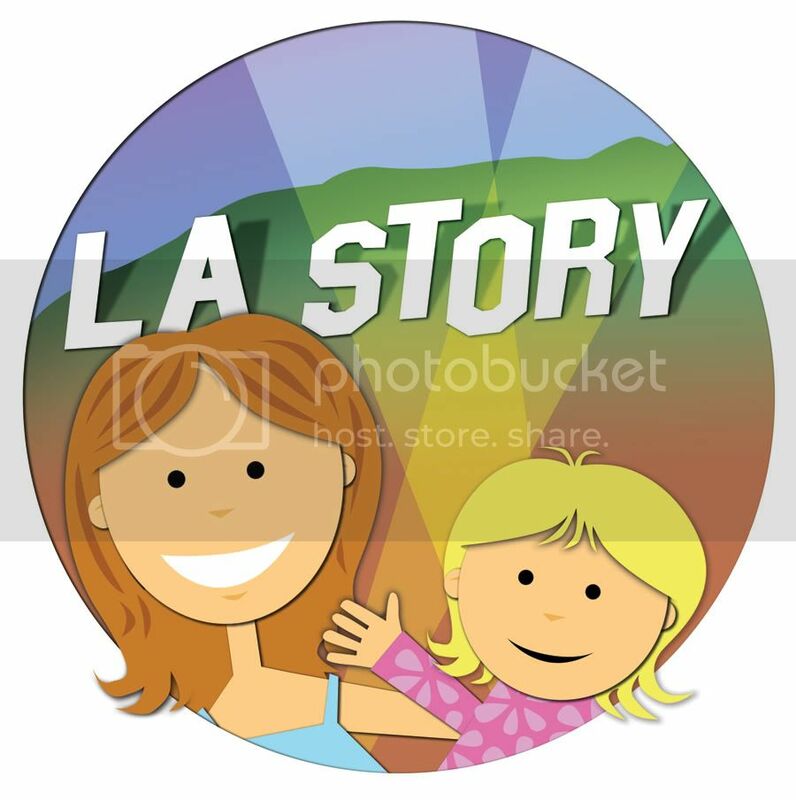 Please email me at losangelesstory@gmail.com with your contact info. Thanks to everyone who participated! Jousting, jesting singing and dancing are all on the program for this year's Original Renaissance Pleasure Faire, happening now through May 19 in Irwindale, but there's a very special guest who will be visiting this weekend—Mike the Knight. 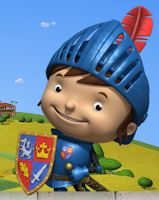 The little knight-in-training who's the star of HIT Entertainment/Nelvana's CG-animated show that airs on Nick Jr., Mike the Knight will be making his way from the land of Glendragon to meet fans and greet fellow knights-(and ladies)-in-training on Saturday, April 20, at the Faire. There will also be storytellings and giveaways! Mike the Knight was a surprise hit for CC. She loves following the little guy as he ventures out on quests all over the kingdom. The dragons don't seem to hurt, either. Sounds like he'll fit right in at the Faire, which features more than 1,200 costumed performers in the themed village at the Santa Fe Dam Recreation Area. Not only that, but there will also be rides, arts and crafts, as well as 16th century games. According to the release, the event "recreates the celebratory spring day in 1574, when the world arrived to entertain Queen Elizabeth in the English Seaport of Deptford." I'm giving away a Family 4-Pack of Tickets to the Renaissance Pleasure Faire for Saturday, April 20, to see Mike the Knight! To enter, leave a comment below, telling me what you would love to see at the Faire. Good luck, and I will announce the winner this Thursday, April 18! There's a new monster in town, and he's definitely got CC's attention. While watching Disney Junior last weekend, CC discovered Henry Hugglemonster, whose new show will be premiering on the channel tomorrow, April 15 at 5 p.m./4c. She immediately recognized a newbie and wanted to know what this cute monster was all about. 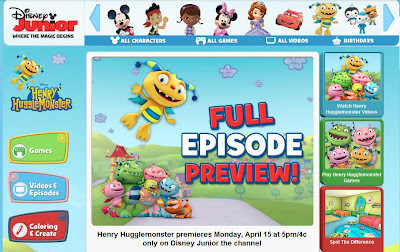 The show, about a 5-year-old little monster who's also the middle child in his super-close family, is based on the book series I'm a Happy Hugglewug, by Irish author/illustrator Niamh Sharkey. Henry Hugglemonster explores feelings and emotions that little kids feel in everyday life. The series is geared toward 2- to 7-year-olds. Click here to watch The Huggleflower/Monster Lullaby, in which Henry needs to find a way to get sunlight to the Huggleflower. 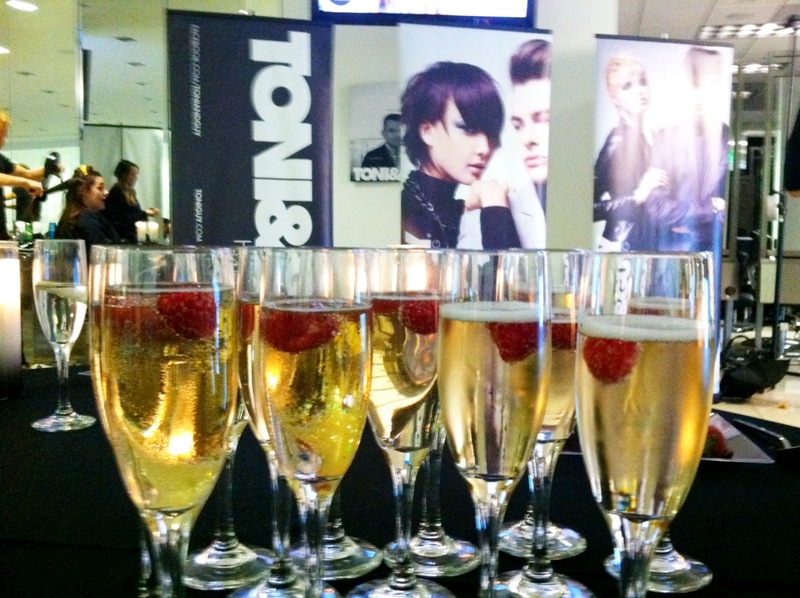 It was a night of beauty treatments and pampering at Toni & Guy Academy in Santa Monica last week. 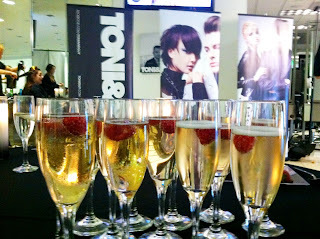 The hair salon hosted an amazing event that featured a variety of partners for a fun Spring Beauty Forecast. My favorite skincare company, Dermalogica, was there. So in addition to hair styling and facial treatments, the event also offered hair chalking(!) and makeup services. I was also eager to try the hair chalking. If you're looking to add some fun color to your hair (think fuchsia, blue or even green) but you don't want it to be permanent, hair chalking is a great alternative. Colorsmash is a "hair shadow" that's temporary (it washes out in one wash) and comes in a ton of colors. You literally smash it into your hair and add hair spray to set. (It's a little messy and can come off on your clothes a bit, but it also comes off with water.) Color just one strand or many, and it's such a cool (no-commitment!) look. Throw your hair in a ponytail or braid it, and have that bit of color jump out. As the weather warms up and color becomes the new black, it's such a great time to go for something a little different -- if only for the weekend. 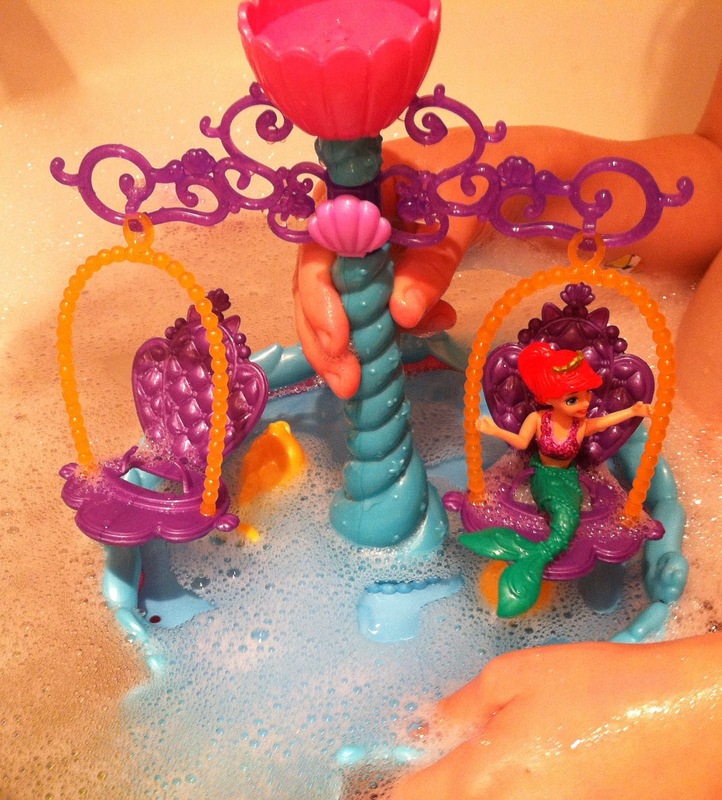 CC plays with Mattel's Disney Princess Ariel's Floating Fountain in the bath. UPDATE: Congrats to Katrina, who won Mattel's Disney Princess Ariel's Floating Fountain! Thanks to everyone who participated! I heard squeals of delight the other night, as CC was playing in the bathtub. She had closed the sliding door and was enjoying the sprays of water coming from Mattel's Disney Princess Ariel's Floating Fountain. CC had the chance to check out the latest toy from Mattel as part of the Mattel Disney Insider program, and she loved it even more than I had expected. The toy (SRP: $19.99) pairs two of CC's favorite things: princesses and water. In fact, the mermaid Ariel is perfect because CC loves the pool, swims like a fish and regularly pretends she's a mermaid at every watery opportunity. What's extra fun is that I'm giving one of the fountains away to a lucky reader. See how you can get it below! 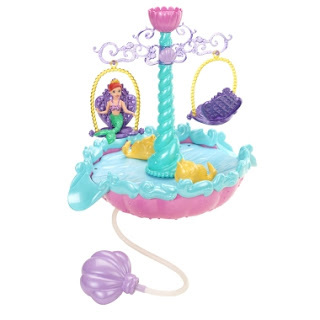 I'm giving away 1 Disney Princess Ariel's Floating Fountain, courtesy of Mattel. To enter, leave a comment below, telling me your child's favorite bath toy or game. Good luck, and I will announce the winner on Thursday, April 18! 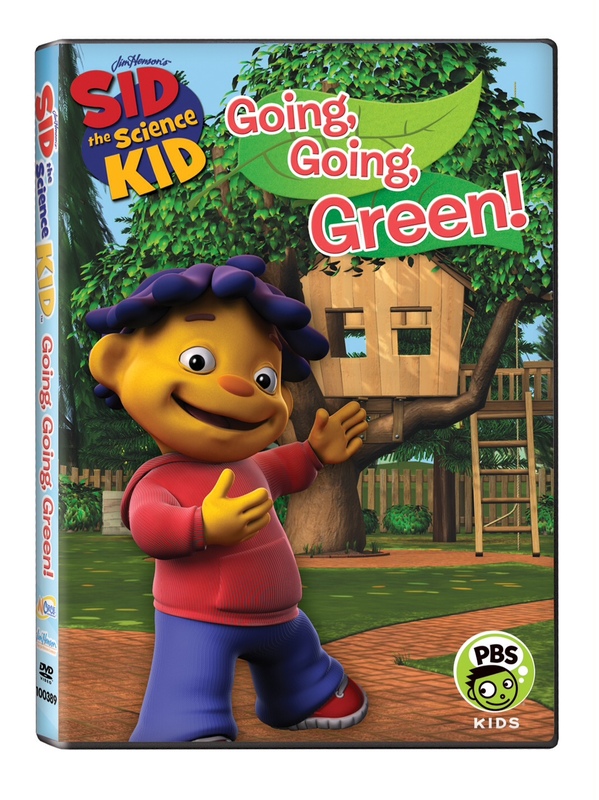 UPDATE: Congrats to Crystal Foth, who won the 2 Sid the Science Kid DVDs! Thanks so much for participating. Please email me at losangelesstory@gmail.com with your address. Thanks to everyone who participated! 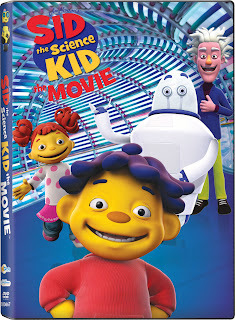 Sid the Science Kid: The Movie hit store shelves last week, and this full-length animated movie, now on DVD from NCircle Entertainment (SRP: $12.99), is adorable, encouraging and a great way to teach kids -- yes, even little ones -- about teamwork. 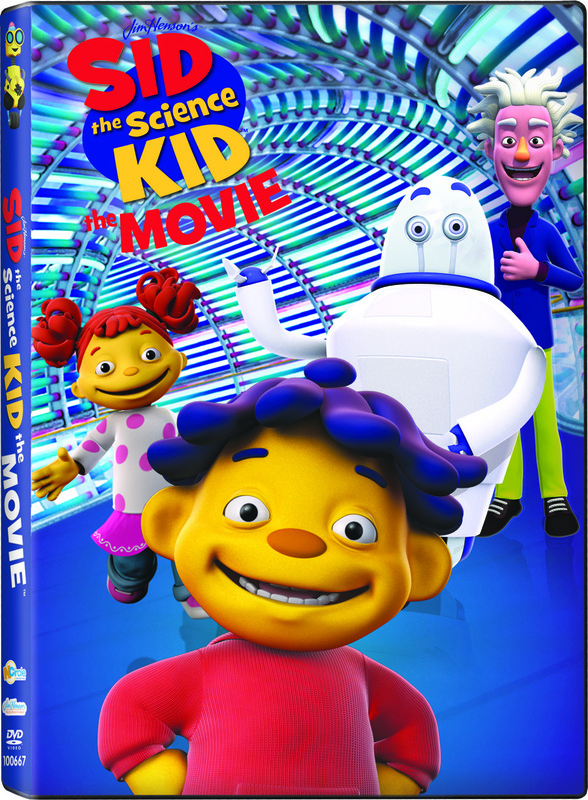 In the 75-minute movie, Sid and his friend Gabriela win a science fair contest in the 4-6 year-old category, aka "Junior Investigators," and are invited to tour the new Super Ultimate Science Museum before the general public. They're met by Yangyang and Niuniu, the older "Future Scientist" winners from China. Not only that, but they also get to know the eccentric scientist Dr. Bonabodon (cleverly voiced by Christopher Lloyd). In a word, the new science museum is amazing. There's an oversized solar system, in which the sun looks as big as a hot-air balloon, and there's also the bee exhibit that features larger-than-life bees and explains how they work in the hive. But it's when their robot tour guide goes haywire, literally, that the kids must band together to fix everything before the museum opens for everyone. The story is very sweet and shows a nervous Sid and Gabriela, who feel they're too young to help out -- especially with the older "Future Scientists" there. What they learn is that everybody needs help sometime -- even from pint-sized participants. I watched the movie with CC, who enjoyed it. I could tell, though, that she's starting to outgrow her little friend, Sid. It's really bittersweet to see, because she was so little when he first appeared on PBS Kids. She liked it, but I could see that she was identifying more with the bigger kids. At 6 1/2 and almost done with kindergarten, I guess I shouldn't be surprised. The movie did remind her, though, of how much she loves our very own California Science Center -- where she even saw a certain Sid a couple of years ago. I'm giving away 1 copy each of Sid the Science Kid: The Movie DVD and environmentally friendly DVD Sid the Science Kid: Going, Going Green, courtesy of NCircle Entertainment. To enter, leave a comment below, telling me your favorite science project or museum exhibit. Good luck, and I will announce the winner on Tuesday, April 16! As much as I love CC's bedroom, I also know it could use a fun makeover. We've added a lot of furniture over the three-plus years that we've been here, but her walls are still painfully, uninspiringly white. 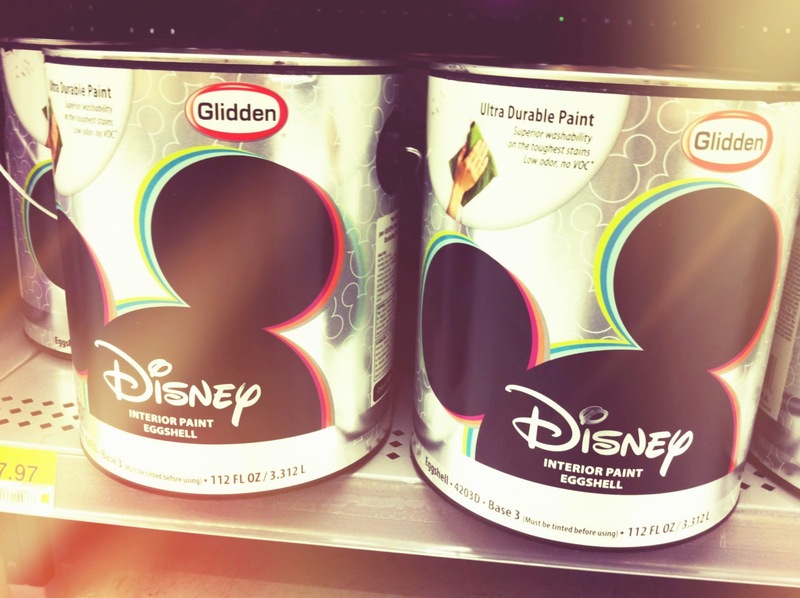 That's where Disney Paint from Glidden comes in! 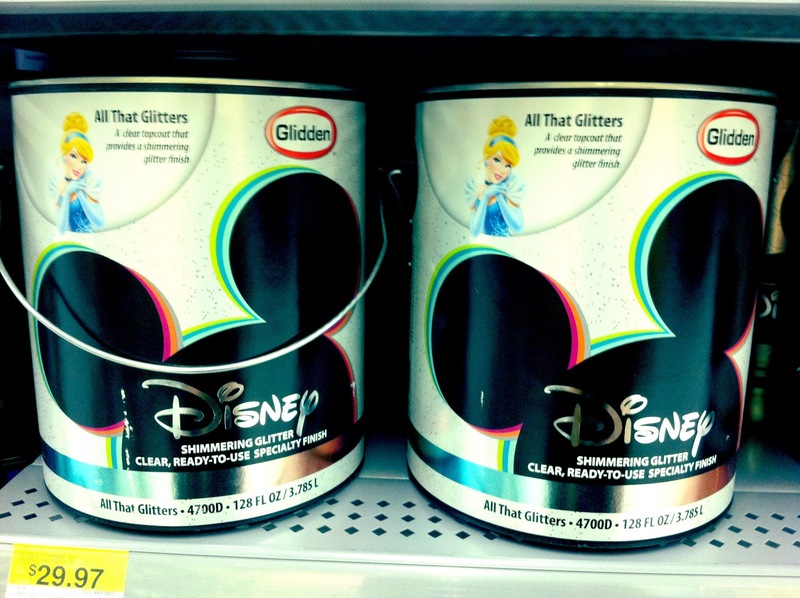 Available only at Walmart, the themed paint colors (Disney Princesses, Disney Fairies, Mickey Mouse, Cars, etc.) in 112 exclusive shades such as Enchanted Violet and A Wave of the Wand, pair with other creative offerings in the Disney Paint line, including finishes that add glitter, slate/chalkboard and glow-in-the-dark extras. Needless to say, CC and I were all in when I joined Disney Paint on this fun project. 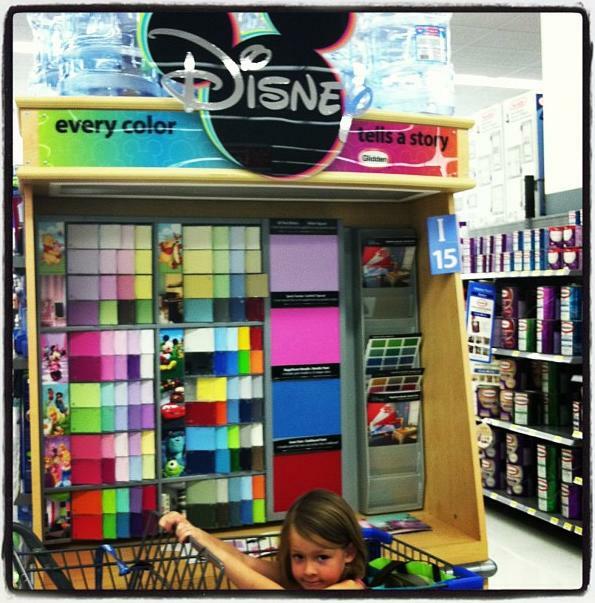 I mean, what little girl wouldn't love to pick her favorite color to paint her room? Adding a glittery finish was a special bonus. Our closest Walmart is in Torrance, which is where we headed last weekend. Disney Paint definitely has a starring role in the store's paint section. We made a beeline for those Mickey Mouse ears and discovered a fun, child-friendly (and helpful!) display that featured not only the color swatches but also small brochures that provided examples of how each of the 5 finishes would look in a child's room. It was funny watching the 20something paint-section employee asking CC all about how she would paint her room. He also made sure she approved of the color once it was mixed. Nice! And if your child wants Disney bedding and accessories, the paint coordinates with those colors as well. So basically, we're very excited to get started. Stay tuned for an upcoming post, sharing how everything went painting-wise. Ian has been the painter in the family, but I want to try it out myself. CC, too, if she wants! Luckily, Disney Paint also offers videos and tips. And we'll see how we can turn boring old white into something glittery and magical. I am so excited for this movie, and I think a lot of parents around my age are, too. Before Midnight, the third (and probably final) in Richard Linklater's "Before" trilogy that hits theaters May 24, finds us once again meeting up with Jesse (Ethan Hawke) and Celine (Julie Delpy), this time in Greece. As usual, a lot's happened since the last incarnation, Before Sunset (2004), and Before Sunrise (1995) even earlier. Our strangers who met on a train and eventually fell in love are together, now in their 40s, and musing on family, commitment and, of course, love. Despite the endless traffic frustrations, I still feel incredibly lucky to live in Los Angeles, where the weather is almost always beautiful and the beach is nearby. 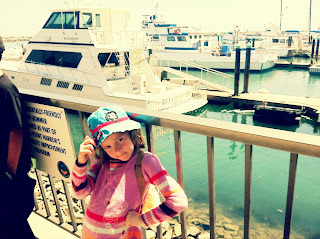 While CC is on spring break from school, we enrolled her in a camp in Santa Monica. It's perfect because I work really close. So, when they took the kids to the beach yesterday, I was able to surprise CC for lunch. It was so nice -- a great way to touch base with the kiddo, to get out of the office and to appreciate how close the ocean is. Nia Vardalos Talks About Her New Book, "Instant Mom"
I recently talked to actress/writer Nia Vardalos (My Big Fat Greek Wedding) about her new book, Instant Mom. The book, about her infertility and subsequent adoption of her daughter, Ilaria, with husband Ian Gomez, is both a tear-jerker and a funny read. She also chatted about Greek life and raising her daughter in Los Angeles. Check it out on mom.me!